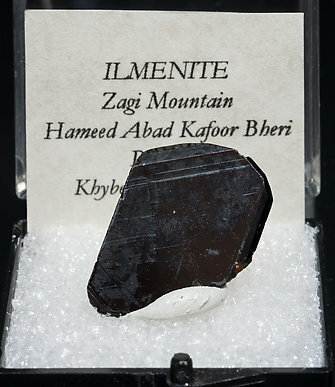 Very sharp tabular Ilmenite crystal with a predominant and very well developed pinacoid. It has fine growth striations and is very bright. 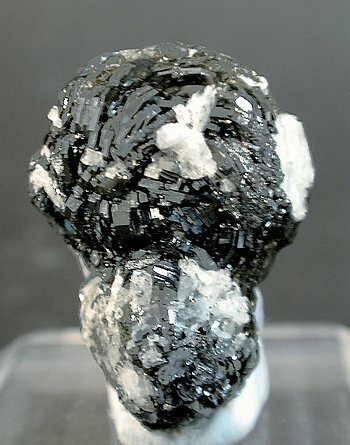 Luster and attractive form, this Ilmenite looks much more esthetic than other specimens of this species. Plus the minor white Albite makes a nice contrast. 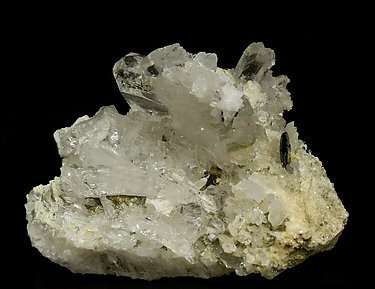 Group of very well defined laminar crystals, bright and on matrix. Long ago we did an analysis that confirmed the species, but we can’t supply it to the buyer of the specimen because we no longer have it. Very sharp laminar crystal with a hexagonal contour. 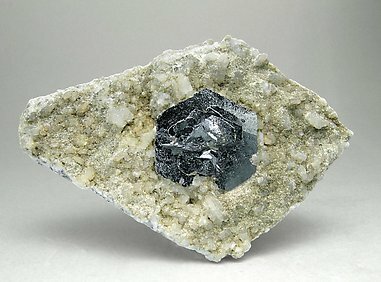 It is bright, with parallel growths and it is on matrix, with parallel growths of doubly terminated crystals of clear Quartz.